Please copy and paste ' [[Category:Anemones]] ' into the end of your article to include it in this category. Sea anemones are a group of water dwelling, predatory animals of the order Actiniaria, they are named after the anemone, a terrestrial flower. As cnidarians, sea anemones are closely related to corals, jellyfish, tube-dwelling anemones and Hydra. They will sting and must be handled carefully. A sea anemone is a polyp attached at the bottom to the surface beneath it by an adhesive foot, called a basal disc, with a column shaped body ending in an oral disc. 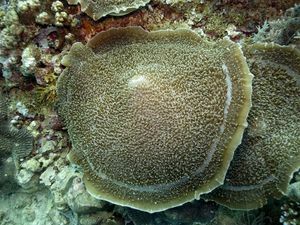 Most are from 1.8-3cm (0.7-1.2") in diameter, but anemones as small as 1.5cm (0.6") or as large as nearly 201cm (79.1") are known. They can have anything from a few tens of tentacles to a few hundred tentacles. A few species are pelagic, and are not attached to the bottom; instead they have a gas chamber within the pedal disc, allowing them to float upside down in the water. This page was last edited on 29 March 2011, at 12:22.